There is only one more part of the Meadow Mystery that I have taken part in. Today was the release of the second last part. 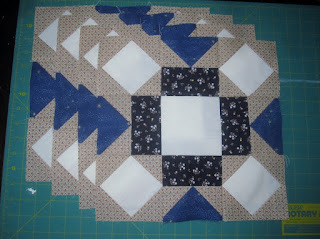 I finished the 4 blocks that are Block Two. There's a block five but I'll work on that another day. I got a bit more quilting done last night. 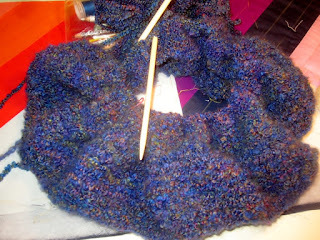 And my knitting project has had a few more rows added to it. I'd like to finish a BOM that I started a couple of years ago but I can't find the bin that it's in. I saw it a while ago but now I can't locate it. 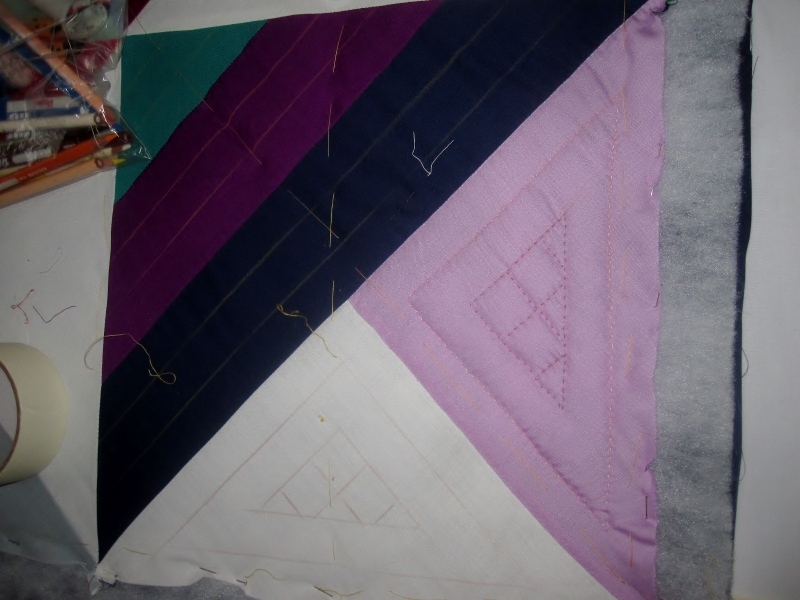 There is another quilt or two I could work on to get it closer to completion but my mind was set on the BOM. Oh well, I may go back into the fabric jungle later to look again. Hopefully, I won't get lost.